Semi-evergreen, height to 40cm. Very hardy. 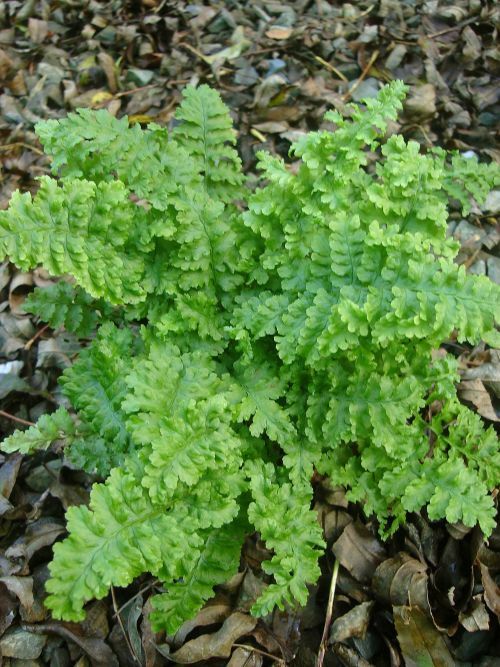 A delightful small and tough fern that, like the species, grows virtually anywhere in the garden. It is even quite tolerant of dry shade. Perfect conditions would be partial shade and humus rich moisture retentive soil. It is however very adaptable.